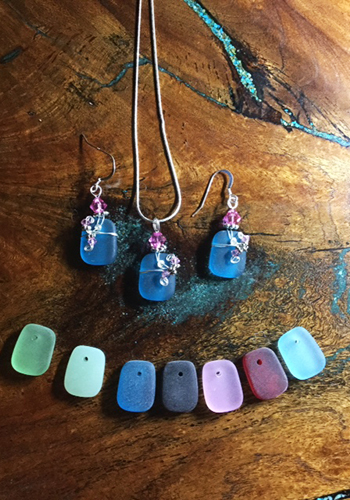 Sea Glass Earrings for sale online at Alaskan Reflections. Sea Glass Square shape earrings with Sterling Silver ear wires and enhanced with fancy sterling silver wire wrapping and assorted Swarovski crystal beads. Like lost pirate treasure Sea Glass is very sought after and loved for its beauty. In fact these lovely Sea Glass Earrings are dazzling in a myriad of colors. 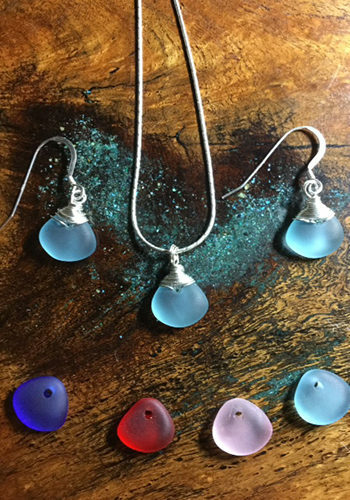 Here at Alaskan Reflections we have taken that treasure and transformed it into the loveliest Sea Glass Jewelry. 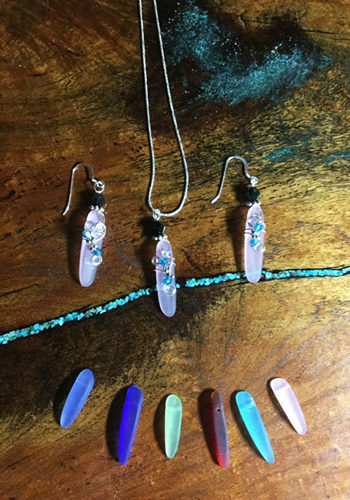 Customers who are fans of Sea Glass will want to buy every piece of this lovely and mysterious jewelry. 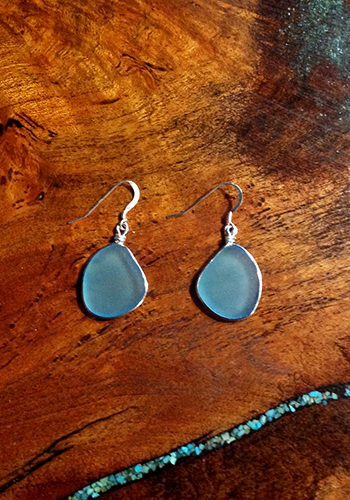 Sea Glass earrings with their brilliant yet soft colors reminds us of the sea and her mysteries. Tumbled for decades along the bottom of the water, Sea Glass spills out onto the shore like beautiful jewels. In fact this phenomenon is created by pieces of glass being slowly worn down. Tumbled over and over for decades by the motion of the water each piece of Sea Glass forms a beautiful jewel. Like a pearl slowly formed for years by an oyster. Finally these beautiful jewels are transformed into the most exquisite jewelry just for you. Feel the spirit of the waters move through you while you wear this beautiful jewelry and feel renewed. 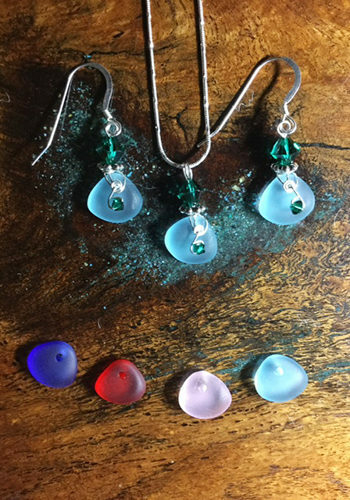 At Alaskan Reflections we have both Sea Glass Necklaces and Sea Glass earrings. These lovely works of artistry are available in sets or sold separately. Each piece is hand wrapped in silver and accompanied by Swarovski crystals. Honestly you are going to want to have the entire collection. In order to help you save money we offer customers the opportunity to buy Sea Glass Jewelry at wholesale prices online. In fact you can sign up today for our wholesale program and before you know it you will be enjoying savings. Customers will be able to enjoy savings of up to 50% on all of our wonderful products.